Nasal polyposis formation is very complex (allergy, fungi, staphylococcal enterotoxin, genetics). They are determined with endoscopic diagnosis. 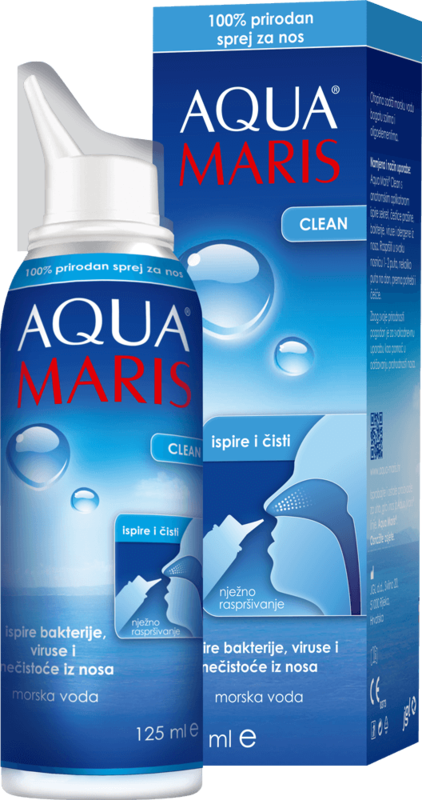 The treatment is based on the use of medicines (oral and intranasal corticosteroids, antibiotics, antihistamines, leukotriene inhibitors, immunomodulation, nasal irrigation and hygiene with seawater solution enriched with myrtle and immortelle essential oils of Aqua Maris) and surgery. Treatment of infections of the upper respiratory system is often very complex, with regeneration of olfactory senses being the hardest task. It is a great achievement for a doctor to able to give the patients their olfactory senses back – the ability to notice and distinguish surrounding scents. The importance of team work and collaboration between general practitioners, otolaryngologists and pharmacists should be noted. Xylometazoline reduces mucosal swelling, while Adriatic seawater supplies the mucous membrane with trace elements and reduces nasal dryness. Together, they are an effective agent against nasal congestion and enable normal breathing. The product is preservative free, for an increased safety of use.